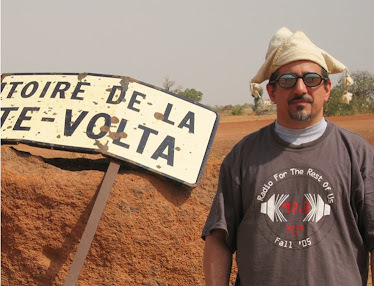 Aziz Sahmaoui is a singer and multi-instrumentalist from France via Morocco who founded the excellent pan-Maghrebi ensemble Orchestre National De Barbes and went on to join Joe Zawinul’s jazz group as a percussionist. This is Aziz’s second album as bandleader and it’s every bit as good as his debut, which was one of my favorite releases of 2013 (the year it gained American distribution). 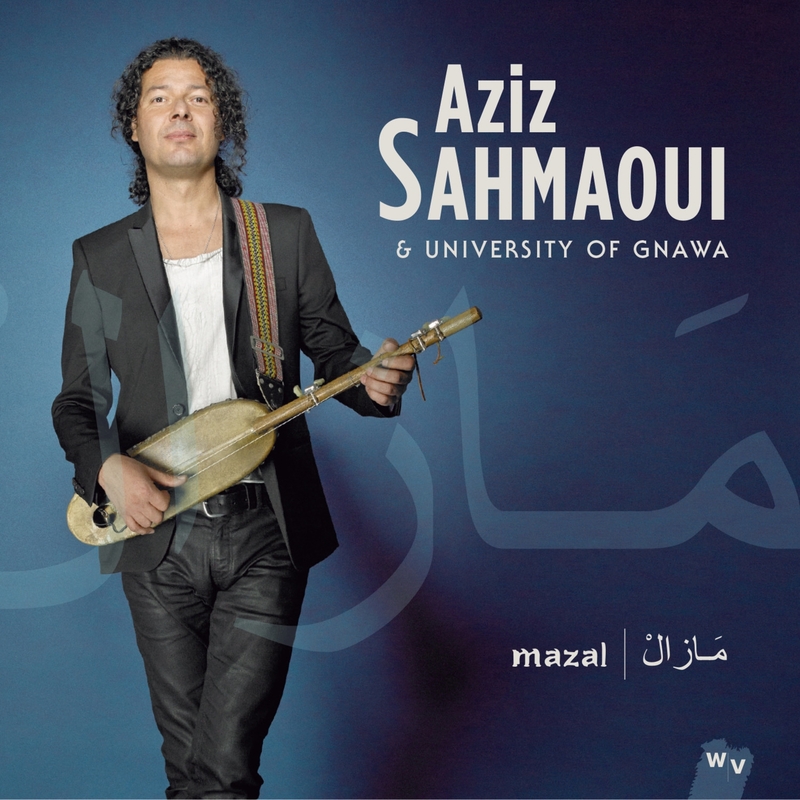 Certainly Moroccan gnawa is an influence here, but this isn’t trance music at all – Aziz wrote all but one of the songs and his tuneful material sounds as close to chaabi (Moroccan pop), Kabyle (Berber) music or even French chanson as to gnawa on tracks like 1, 4 and 9. The core of University of Gnawa is three Senegalese musicians: Herve Samb on guitar, Cheikh Diallo on piano and kora, and Alioune Wade on bass. This nimble trio has the chops to create the deep gnawa grooves of tracks 6 and 8 and the flexibility to put across the more melodic material just as effectively. Aziz sticks to strings here (with Adhil Mirghani joining on percussion) and excels throughout on mandol and ngoni. This is a unique band with a compelling sound, well worth your attention.